This monograph is the first in a series entitled Voices of Diversity to be published by Religious Humanism Press. The Unitarian Universalist Fourth Principle calls for a free and responsible search for truth and meaning. In the deep conviction that robust dialogue is a sine qua non of an enduring community, this series will provide a forum for Unitarian Universalist authors to express their thoughts, feelings, and positions on important and often controversial topics related to the opportunities and challenges facing the Humanist movement within Unitarian Universalism. The authors will be given editorial latitude to “tell it as they see it.” Their opinions and conclusions may or may not reflect the views of members of either the HUUmanists Association or the Editorial Review Board of Religious Humanism Press. This series is intended to provoke dialogue. Accordingly, the Review Board encourages responses from readers and will give such responses wide circulation. Please submit your comments using the form below this blog post or send longer reviews/essays to us using the contact form. We look forward to hearing your thoughts and reactions. David Schafer is a retired medical physiologist with a second career as a Unitarian Universalist Humanist leader. David is President Emeritus of HUUmanists and is chair of the Review Board of our Religious Humanist Press. He lives with June, his wife of 60+ years, in Hamden CT, a suburb of New Haven. He has hobbies and other interests too numerous to mention. He still enjoys teaching. 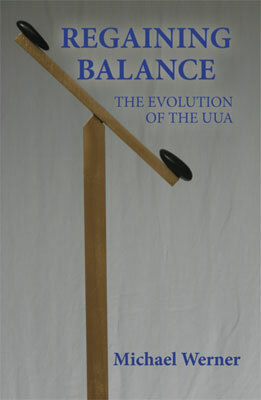 I have been a UU member for more than fifty years. During that time I have seen UUism gradually change from what was mainly humanist, agnostic, and atheist to an all-encompassing church. I feel that the church I joined years ago has now left me. This article hits the nail on the head.